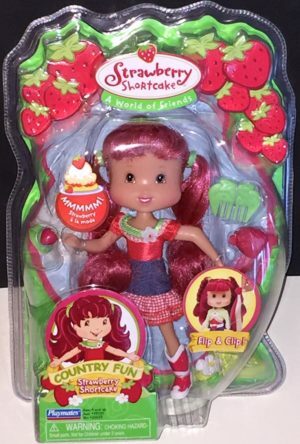 Flip & Clip Strawberry Shortcake doll with green flip n clip hair styling comb. 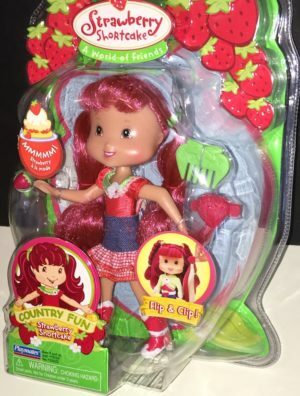 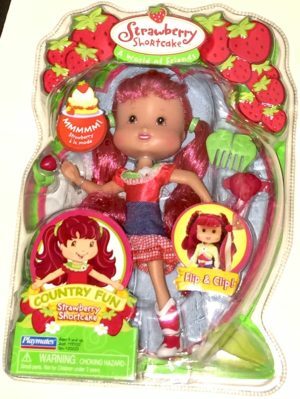 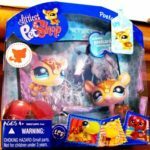 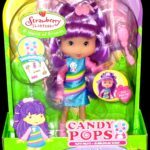 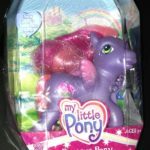 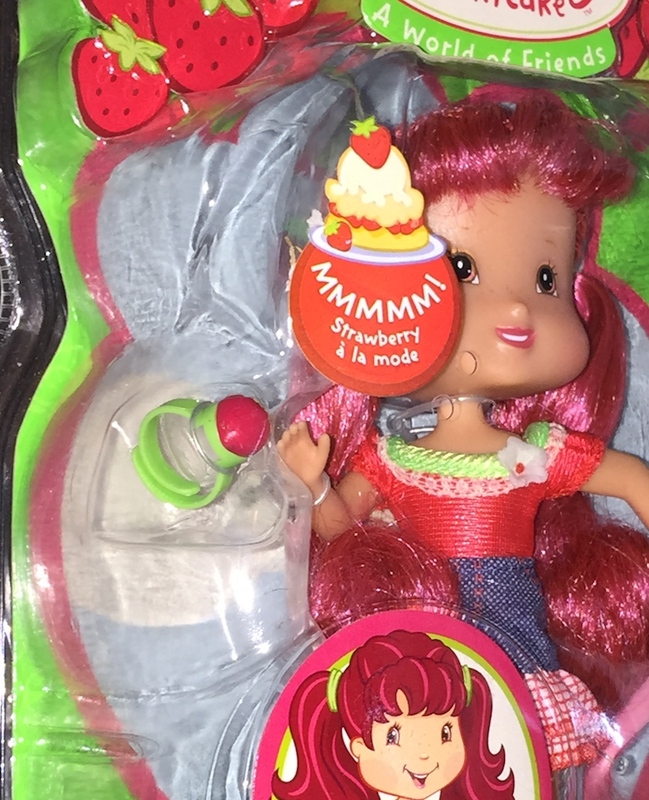 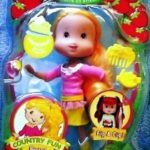 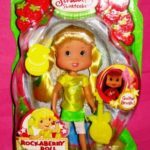 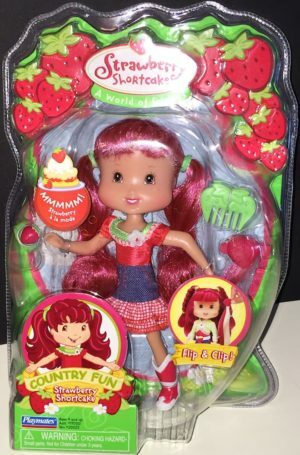 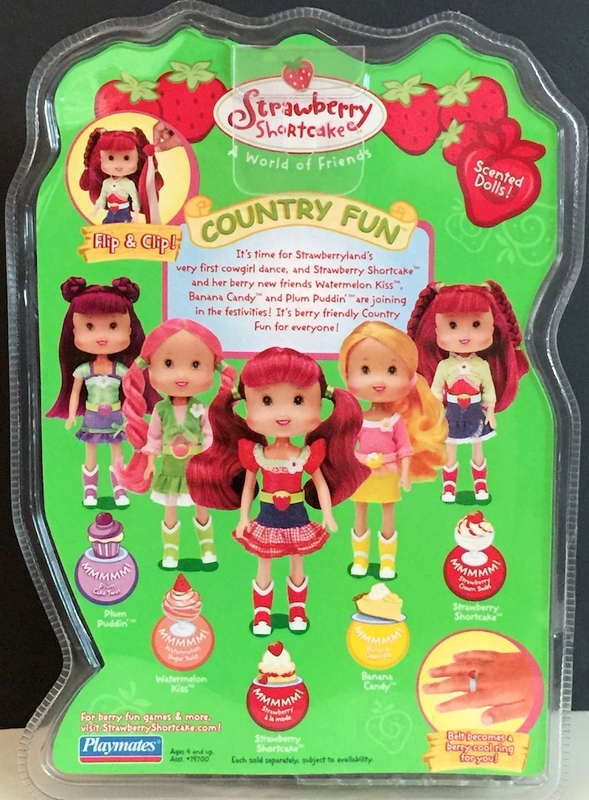 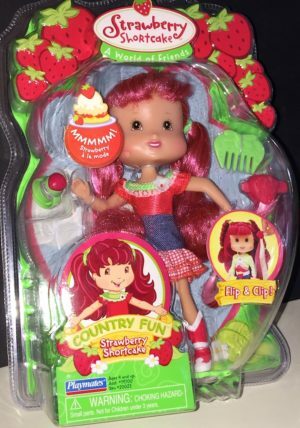 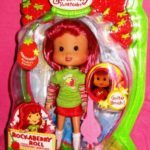 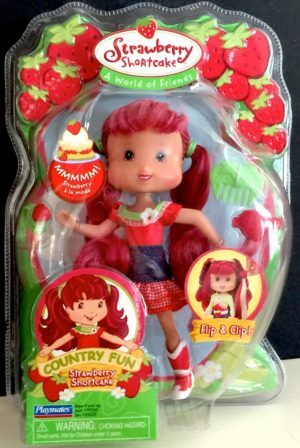 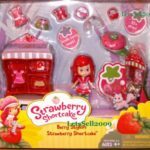 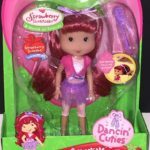 Strawberry Shortcake doll with Flip N Clip hair styling from Playmates Country Fun series. Always happy to show off her country side, this Country Fun Strawberry Shortcake doll checks in wearing red and white checkered ruffles near the hem section of her denim skirt. 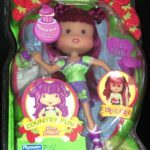 The green bodice top is trimmed with green and white lacy collar; and a white flower adorns the dress as well. 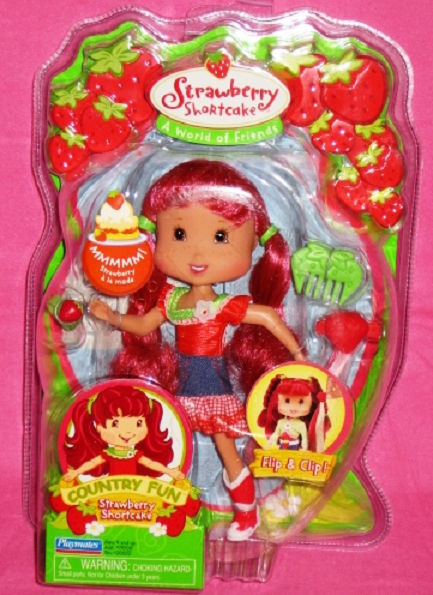 Included is a strawberry flip n clip barrette with a strawberry pink and blonde hair extension. 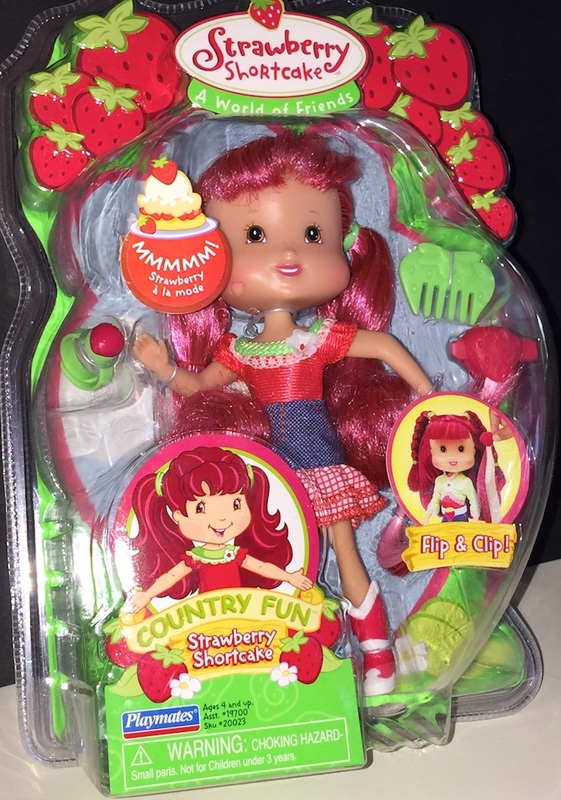 On her feet is a pair of red and white boots. 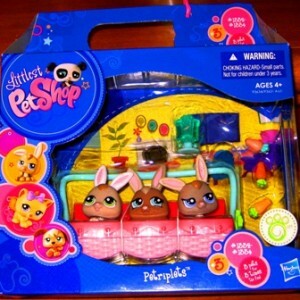 Also included is a strawberry designer belt that doubles as a girl-sized ring. 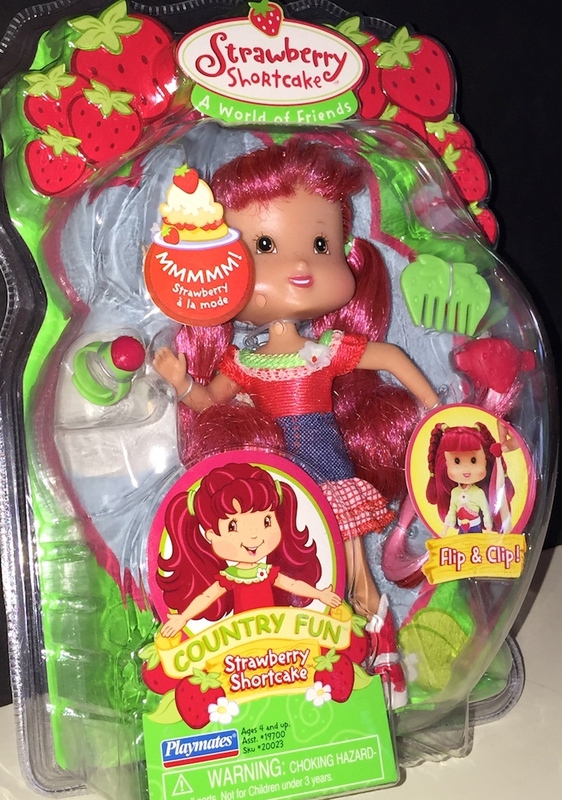 This Country Fun doll has a strawberry a la mode scent.